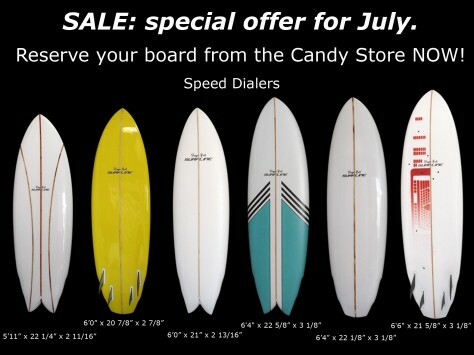 The first ever Candy Store SALE is on for the month of July! 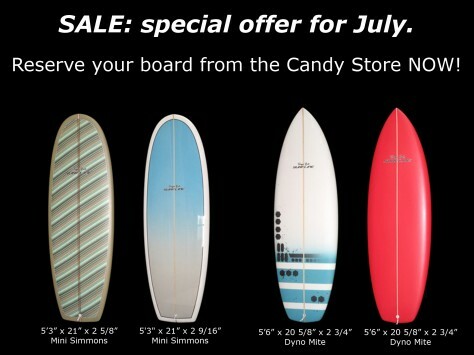 A $250 discount off ANY of The Candy Store stock boards with 50% deposit and 30 days to pay the balance. Everything from H.P Thrusters, Dyno Mite’s, Mini Simmons, Speed Dialers, Mid-lengths, Electraglides, V.R’s and more! 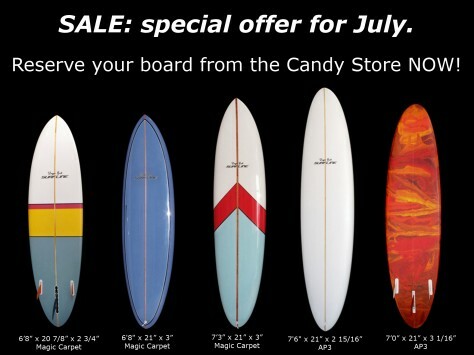 Stock is limited, first in gets the bargain: RESERVE YOUR BOARD NOW! 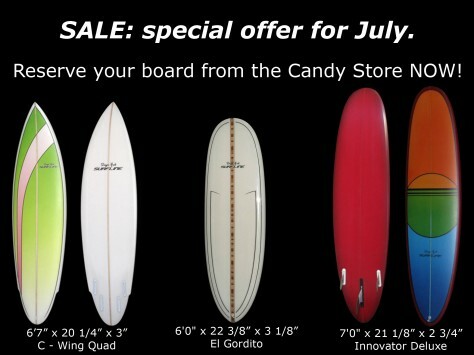 All boards come with fins, a block of wax, our usual Surfline warranty and back up service!